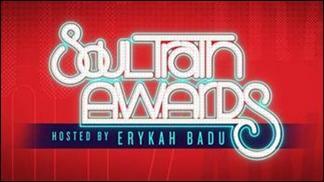 BET PRESENTS: 2017 SOUL TRAIN AWARDS took place on Sunday, November 5, at the Orleans Arena in Las Vegas. The godmother of soul, Erykah Badu, returned to the stage as host and producer, with her eccentric sense of humor and legendary style. The annual event honoring the best in soul and R&B featured powerful performances by Toni Braxton, SWV, Method Man, Tamar Braxton, Keyshia Cole, Kirk Franklin, Jessie J, 112, Tank, Daniel Caeser, DVSN, Le’Andria Johnson, Demetria McKinney, Ledisi, Luke James, MAJOR., Ro James and U-God. BET Presents: 2017 Soul Train Awards kicked off with Lady of Soul honoree SWV, who performed a medley of their top hits such as, “I’m So Into You,” and “Weak.” The trio were joined by Method Man and U-Godfor their final song, “Anything,” getting the entire crowd out of their seats and singing along, including newcomer Kehlani.